Okay, it's only day two of retirement, and I can't believe how busy I've been, but it's been a fun busy. I think I'm really gonna get into the groove of retirement! On Sunday, I had a chance to make a card in honor of the Queen for the Day, 101Airborne (Kathy), at Splitcoaststampers. 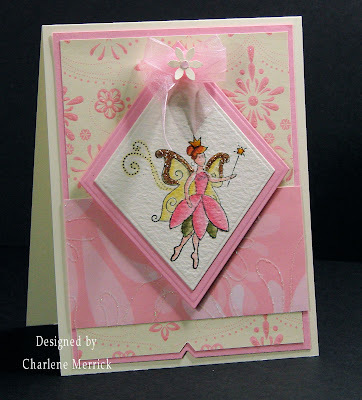 Kathy is very supportive and encouraging to other stampers, and she has a fabulous gallery. 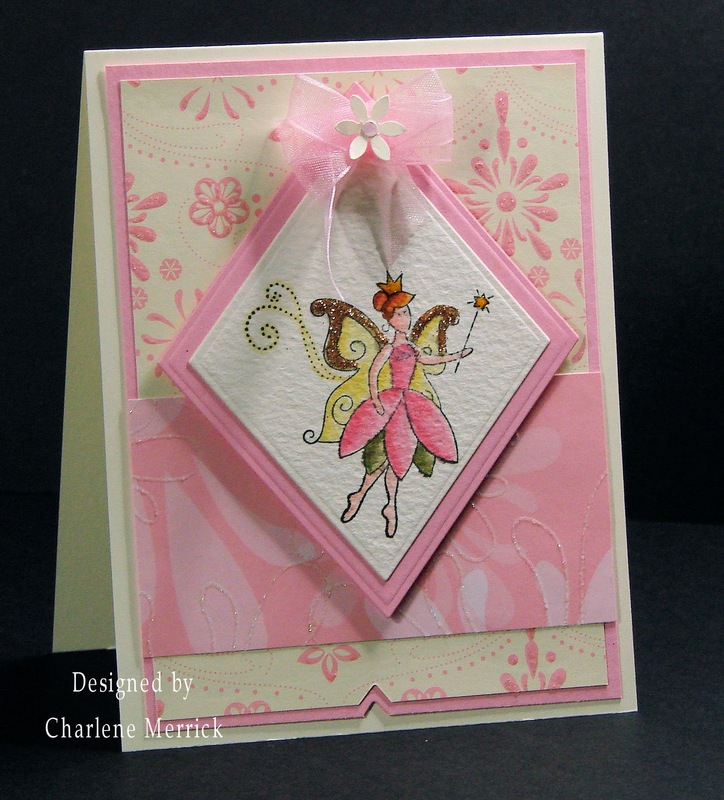 I cased her beautiful fairy card. This is a Lizzie Anne Singles stamp. Using Memento Black ink, I stamped the image onto watercolor paper. I watercolored the image with Stampin' Up reinkers and watercolor brush. You can achieve the shading by using a drier brush than when you first apply the ink with the wet brush. I added Martha Stewart Smoky Quartz glitter to the fairy's wings and Crystal Effects to her crown and the star on her wand. This is the Classic Diamond Nestability. The designer paper is from Stampin' Up. Okay, so as the title of my post indicates, I'm going from a pretty little fairy to a handsome little cowboy for my next card. If you are a follower of my blog, you've probably figured out how I love to participate in Mothermark's Teapot Tuesday challenges. Not only do we have a lot of fun comraderie among the stampers who participate in the challenge, I like the fact that Mothermark always has a Teapot Destination to where we mail our cards, which is purely optional. This week, our cards are going to another stamper, Jamie, whose firstborn (a boy), is due any day. She is the daughter-in-law of Pat Smethers, who is a fabulous stamper, and is so excited about being a grandma!!! You can check out the inspiration teapots in the Teapot Tuesday forum. 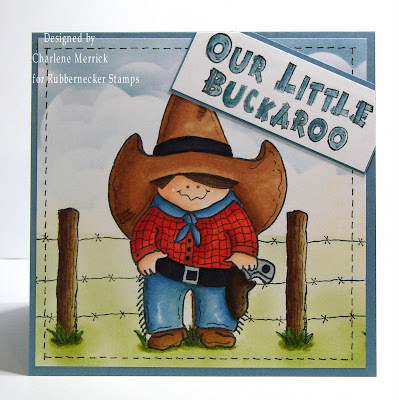 I used this adorable Cowboy image from Rubbernecker. Rubbernecker currently has an End of Year Inventory sale going on, too! Well, that's about it for now. Thanks for swinging by! and the Little Buckaroo card is sure to bless Jamie and Pat and the whole family!! It is the perfect image for a baby card! Glad to hear you are enjoying retirement, but was there ever any doubt?